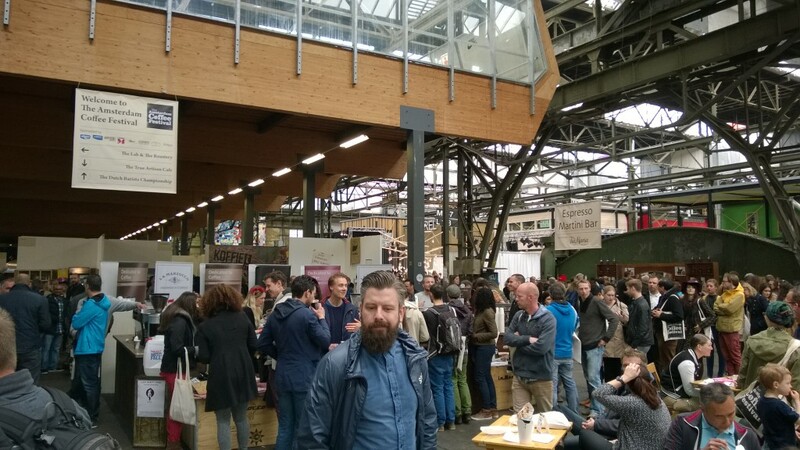 Went to the Amsterdam Coffee Festival this Saturday, drank too much coffee and had heated discussions on brewing methods. Here’s a few photo’s I took. The festival was smaller then I thought it’d be, hopefully some more exhibitors next year. Good way to taste coffee from some of the lesser known roasters or those without a store. 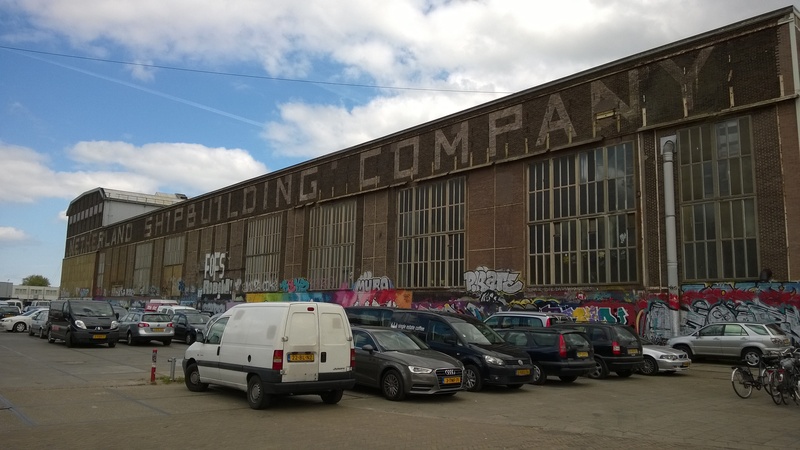 The mix between industry and consumer struck me as strange. Who was this “festival” really for? I mean, who’s gonna buy a water purification unit or a roaster for their home? And do industry types really need a Starbucks stand? 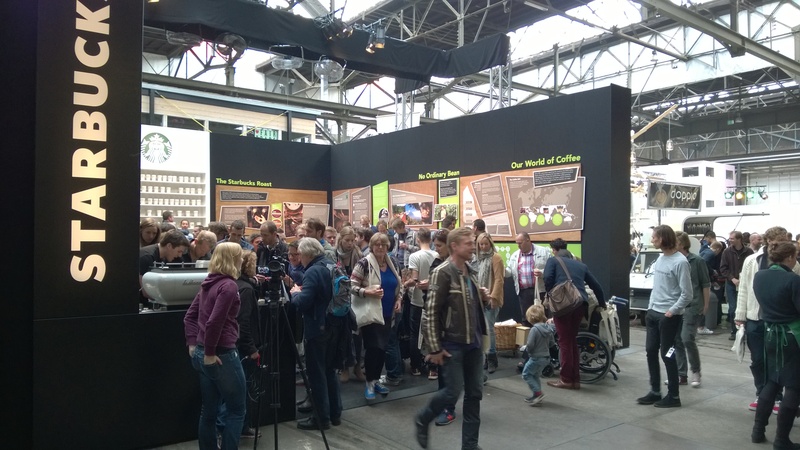 Starbucks having the biggest stand really makes no sense, certainly not if you want to promote artisan coffee. More about the plugin can be found in my previous post. During one of the ShipIt days here at Atlassian I started on a plugin for Confluence to easily add stock quotes to your pages and have them update automatically. Didn’t quite finish the plugin during the 24 hours, but continued work in my own time and now the project is open sourced and can be found on BitBucket. Click Find new add-ons from the left-hand side of the page. 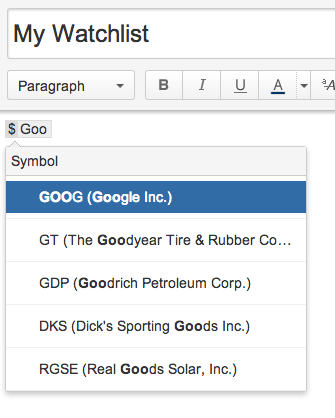 Locate Stock Quotes for Confluence via search. Results include add-on versions compatible with your Confluence instance. Click Install to download and install your add-on. You’re all set! Click Close in the Installed and ready to go dialog. Now just save the page and you’re done! 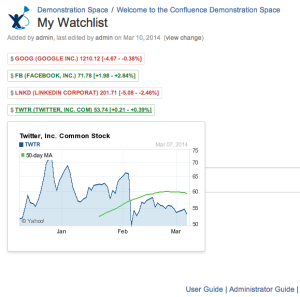 Use them to create a watch list or just add them to a body of text. Stock quotes will automatically update in a 60 second interval when the markets is open. Quotes are supplied by the Yahoo! finance API as is and delayed by 20 minutes.